Whisk together the lemon juice, oil, garlic and pepper. Place the lentils, red peppers, scallions and dill in a mixing bowl. With your hands, crumble the tofu feta over the lentils and vegetables. Pour the lemon juice mixture over the salad and toss to evenly mix. 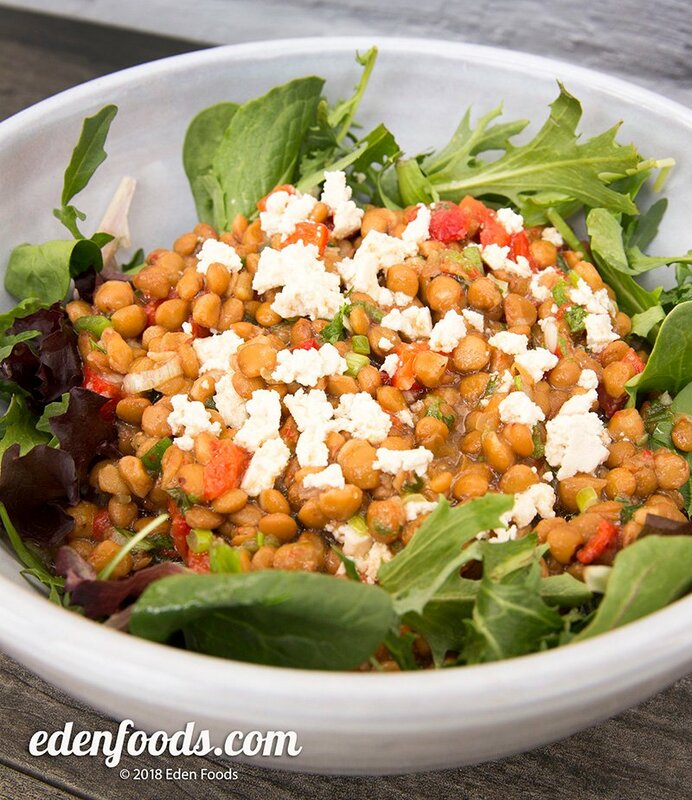 Arrange baby salad greens on a serving platter and place the lentil salad in the center. Serve room temperature or chill the lentil mixture before placing on the salad greens.